When you are looking for a reliable web host, you will take into account factors like services, costs and stability. But there are different kinds of factors at play which may influence the type of hosting solutions you get from web hosts. When a site experiences frequent downtimes, the visitors to the site are dissatisfied and this may damage the site’s reputation, bringing down its ranks in search engines. In such a situation, being able to reach out to capable individuals with the expertise to troubleshoot such problems is very vital. You will only want to invest in a provider that can guarantee you a higher bandwidth, space and better loading speeds for the price you pay. It is important for you to understand the dynamic hosting environment to be able to choose the right kind of providers. Hosting evolves all the time and there are new and improved technologies that are making their foray into this industry every day. This automatically makes clients look for hosting providers which can offer new and flexible business models to suit the changing requirements. 1. Everyone knows the power of cloud server hosting, whether they own a Kindle or Mac device. The truth is even the small or medium sized enterprises are gradually turning to the cloud. New enterprise-level cloud hosting solutions are getting deployed today. However, security still remains a big concern. Today, hackers are trying to carry out significant breaches in the cloud. And it has become all the more important for the hosts to anticipate these possible threats and rectify them aggressively. Even the clients are well-versed with potential threats in cloud server hosting security. So, hosting providers are actively communicating with them to arrange for training for sales staff. They are stressing on regular upgrades and investments in security to avoid data theft. 2. Earlier, the focus was on hosts offering infrastructure for the cloud and giving the most basic services. Now however, the hosts are increasing their fees as they introduce additional services beyond basic hosting plans. The idea is to make these as far automated as possible to cut down human interventions. When you are a client, you must find out how efficient the web hosting provider’s methods in this respect are. Besides, while quality customer service remains vital, this is not enough. So, cloud vendors will have to identify the real areas of differentiation. They will then need to market these. 3. Another important trend in web hosting is the entry of big players such as Amazon into the hosting arena. Smaller businesses need to forge stronger partnerships. So, many businesses are turning to reseller relationships. They are becoming middlemen for smaller online businesses; niche-specific strategies and competitive prices play an important part in how this class evolves. 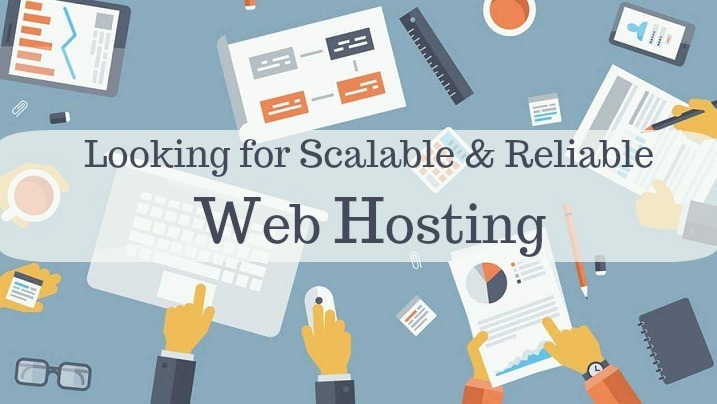 There are people who think that the web hosting providers will do away with their traditional set-ups and work like direct resellers, enjoying limited infrastructure expenses. 4. There are important domain registration companies such as GoDaddy that have provided handy site-building tools. Now, there are new companies like Weebly and Yola have changed how things work. Web hosts are marketing cheap and easy ways to manage sites. They market their site builder tools which are free and provide an assortment of services. So, they have started to repackage their services targeting the smaller businesses. The focus is on offering these services which are not too technical and easily accessible. 5. Changes in domain availability are another important trend which can lead to greater profits for the hosting companies. Companies are now hosting non-US extension websites. Earlier, all websites ended with an .org or .com or .net. Now, users can select from multiple extensions. The numbers of extensions available are likely to increase according to experts. So, as users, you have to know whether the host charges you more or provides special advantages when they host using extensions like .co or .me. These are some of the noticeable trends on web hosting which deserve attention. Being users, you need to know how these can change the hosting industry. This will help you make informed decisions.